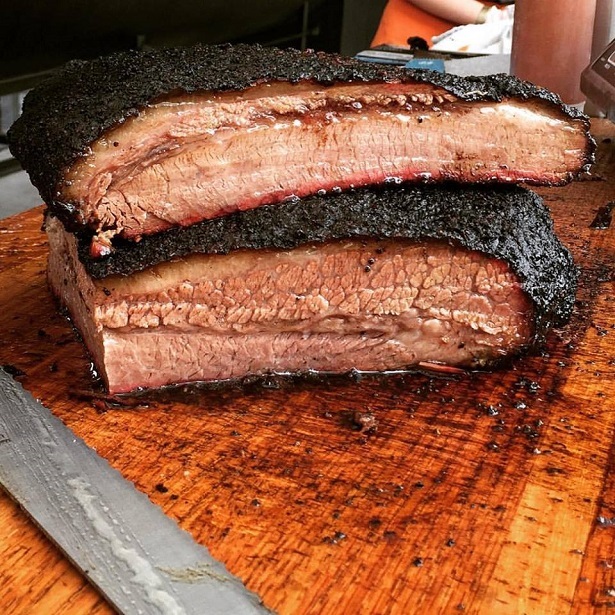 If you’ve driven through Scott’s Addition on a Friday night, chances are the alluring aroma of smoked brisket in the air has piqued your interest. You may have also seen the giant wood-burning smoker being hauled into Ardent Craft Ales every other week with nothing but a line of people as far as the eye can see. 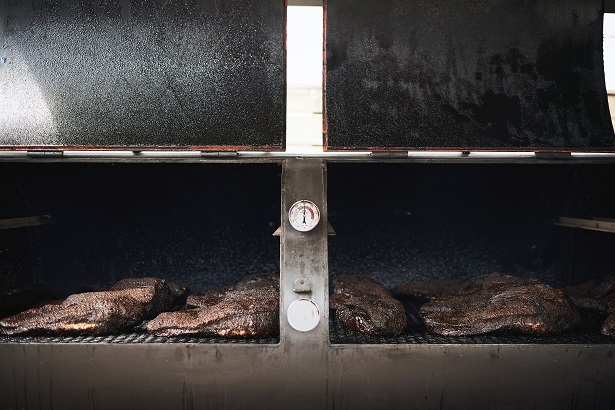 For four years, local truck ZZQ has provided barbecue to Richmonders, catering weddings and other private gigs, and for the last two they’ve parked their smoker, dubbed “Mabel,” at Ardent to serve up Central Texas-inspired smoked beef barbecue. In the fall, the husband and wife team will launch their business into the next phase with their own restaurant on West Moore Street, just behind the brewery that fueled their success. Served up on one big heaping tray lined with butcher paper, customers can order anything from beef brisket, beef short ribs, pulled pork shoulder, pork spare ribs, and bone-in pork belly along with a variety of made from scratch sides such as jalapeno macaroni and cheese, buttermilk potato salad, blackstrap collard greens, frijoles de charro, Orange’s Texas caviar, and Terlingua coleslaw. Fultz, born in Austin, grew up outside of Dallas eating the same barbecue he now so warmly and pridefully cooks and serves to Richmonders. For those who’ve never tasted it, Central Texas barbecue differs from North and South Carolina and Virginia styles. 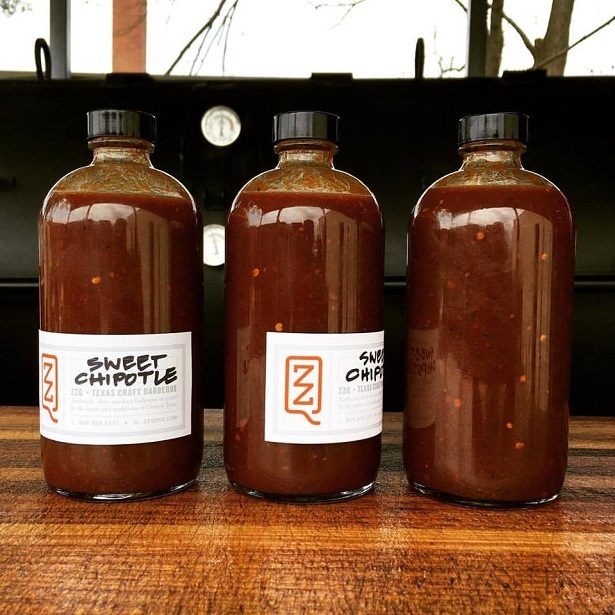 Fultz began honing those techniques in Austin 15 years ago and after moving to Virginia to attend grad school at UVA, he soon got a job in Richmond and realized beef barbecue was few and far between here. Around that time, he met Graf who championed the idea for ZZQ which is when the business officially took off. “We were doing these underground backyard pop ups which enabled us to experiment and kind of hone our craft and cultivate our original customers and fans,” said Fultz. Word began to catch on about their smoked barbecue and they’ve been selling out at Ardent Craft Ales ever since. Graf and Fultz parked “Mabel” on Thursday at Ardent and smoke all night and serve all day Friday. 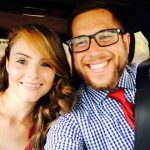 “People would actually help us and pull her out and that’s how Friday nights worked for that first year we were there,” Graf said. 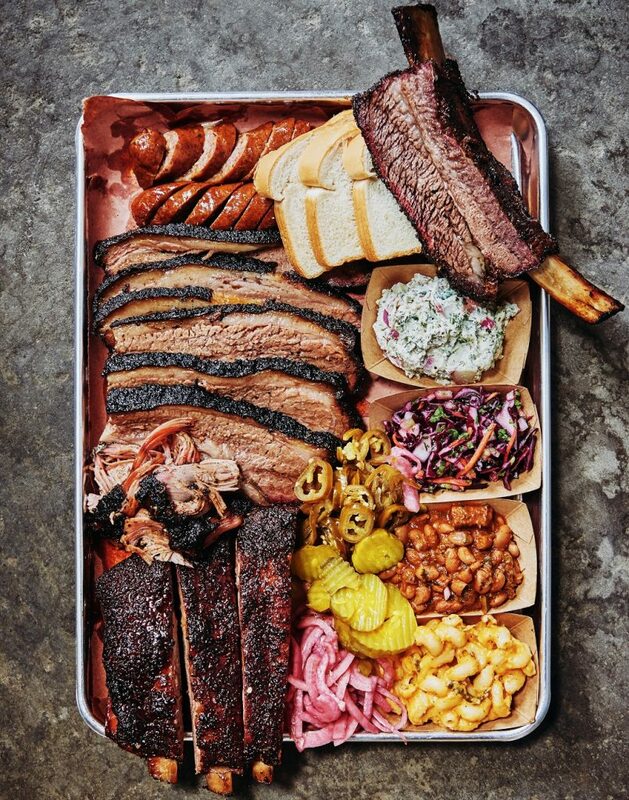 But as they became more well known in the food truck scene after that first year passed, “Mabel” could only feed so many hungry barbecue fans so the two decided it was time for a bigger project. 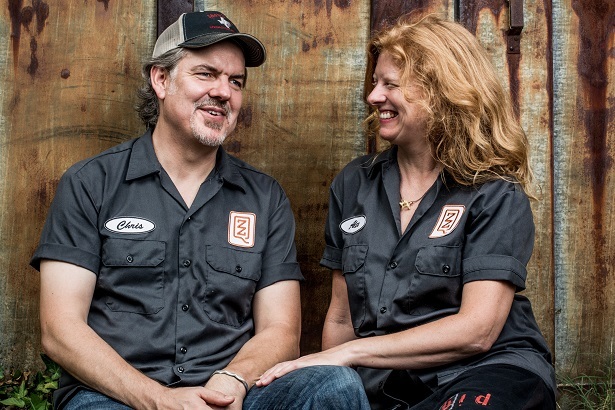 The two had a new 3,000-pound smoker named “Maxine” made outside of Austin and revealed it at the grand opening of The Veil Brewing Co. in spring of 2016, which allowed them to feed 1,200 people. 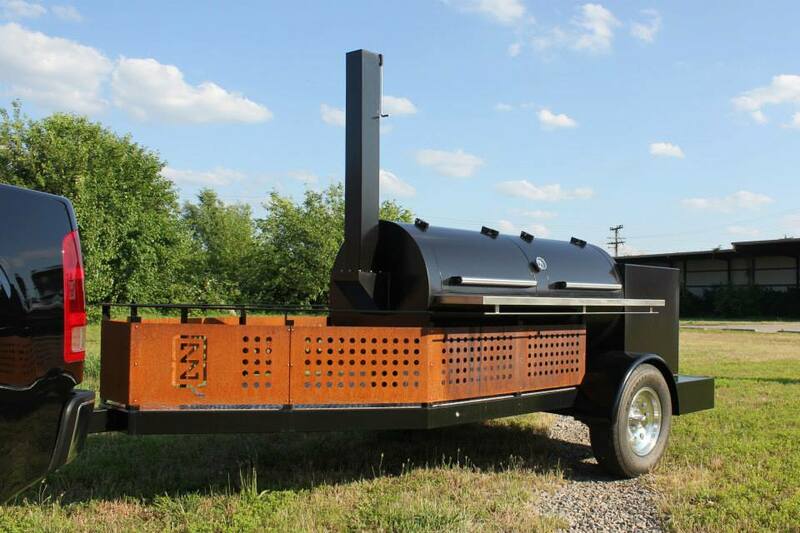 Once they had the new smoker, Graf and Fultz decided to shift their vision into high gear. After checking out a few spots in that area, they decided to build a new restaurant from the ground up in Scott’s Addition. A friend of the couple’s owned the land on Moore Street and was just using a few buildings for storage. In April, the duo demolished what was left and started work on their brick and mortar spot. 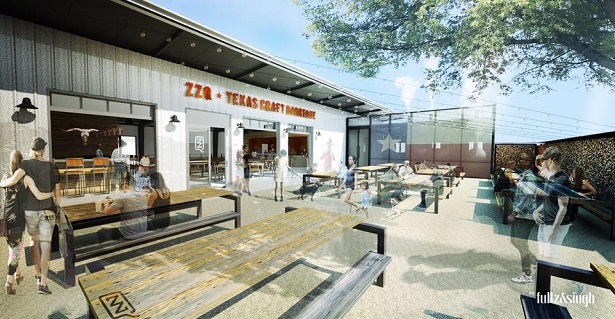 ZZQ’s restaurant, which will be a pre-fabricated metal building like those you’d see in Texas, will seat 90 people on the inside and 90 on the outside on their patio which will connect to Ardent’s parking lot. Both work as architects at their firm Singh and Fultz and from the way they describe it, they aren’t just aiming to draw crowds with the food. The couple is hanging on to one brick wall from the previous buildings that will be the backdrop of the smokehouse along with a metal shed which will house their smokers. “It fits with the neighborhood, also with the industrial feel and it gives us a real open plan because that open feeling is really important both in the patio and inside,” said Graf. When they get up and running sometime in early fall, expect to see additions to the menu like duck, pork steaks, smoked prime rib and brisket tacos. Graf and Fultz also plan to continue collaborations with local cideries, meaderies and other businesses in Scott’s Addition. ZZQ is currently under construction at 3201 W. Moore St. You can keep up with their progress and opening date here.